Onslaught gave Triple Crown owners a major thrill in a spectacular three-way finish in the $125,000 Australian Turf Club BenchMark 88 Handicap (1400m) and Randwick on January 12. Ridden to perfection by Christian Reith, the pair sat comfortably off the hot tempo behind Samadoubt, before knuckling down and getting to the business end of things at the 300 metres. The five-year-old Snitzel gelding fought it out hard all the way to the line to reel in the leader while holding out Organza in the tightest of margins, so tight in the fact that the placings for second were declared a dead heat. From 21 career starts, Onslaught has won six, placed second once and third on four occasions, for total prizemoney of more than $222,000, having been purchased by Chris & Michael Ward as a yearling for $125,000. 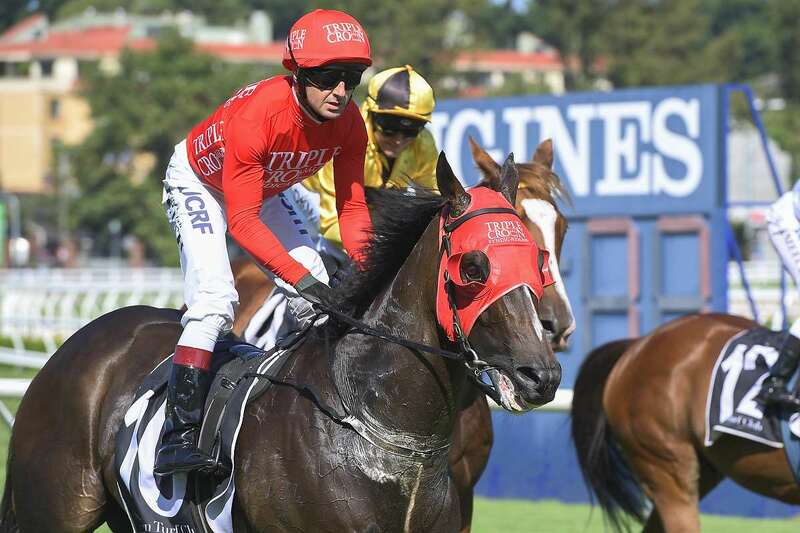 “He’s such a good little trier this horse,” explained co-trainer Paul Snowden.